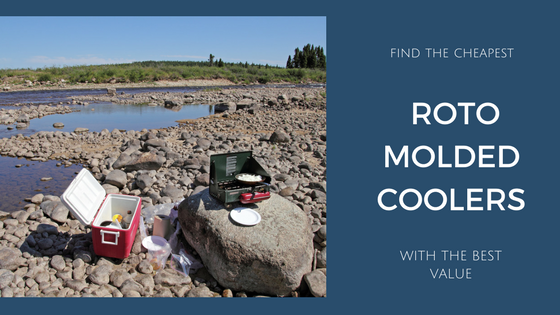 So, you’re on the hunt for a roto molded cooler, but you’re on a budget. Look no further – we’re going to find you the Cheapest Best Value Roto Molded Cooler for the Money. After lots of research, we discovered the strength and resilience of the mighty mid-range ice chest. In fact, some of the best ice chests in 2017 are pretty inexpensive. Without further ado, let’s get cracking on getting you your well-deserved ice chest. Here come the pictures, videos, and detailed reviews! A quick note: the Price-O-Meter for each best value roto molded cooler is based on a scale of 1-5. 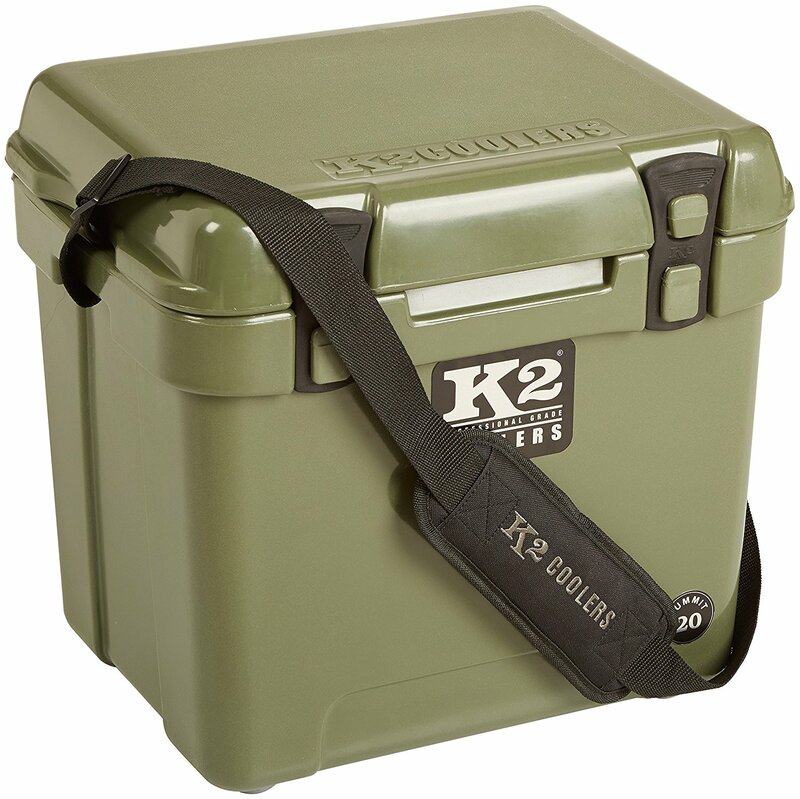 Although you may purchase a K2 Summit Cooler directly from K2’s website, we’ve found much lower prices. Latches that lift up rather than down. Click here for more photos of this roto molded cooler with the best value. It’s hard to find a better deal than this! This cheapest – but best value – roto molded cooler is on about the same level as Yeti in terms of ice retention. Polypropylene comprises this one-piece roto molded ice chest. The two-pin hinge system isn’t considered as strong as the single-pin hinge system found in high-end roto molded coolers. However, if parts of an Igloo Sportsman Roto Molded Cooler do break, it isn’t expensive to fix them. The drain plug tether gives you one less thing to keep track of! There’s no need to tip toe around a durable Canyon Series Outfitter ice box! 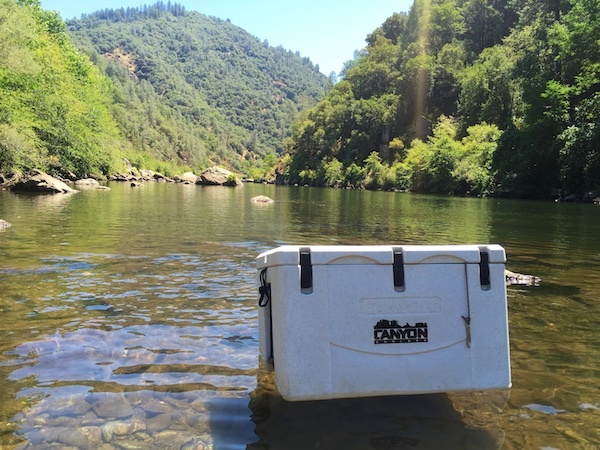 As a point of reference, the Canyon Outfitter Series Coolers are much less expensive than Orca, Pelican, or Yeti Coolers. 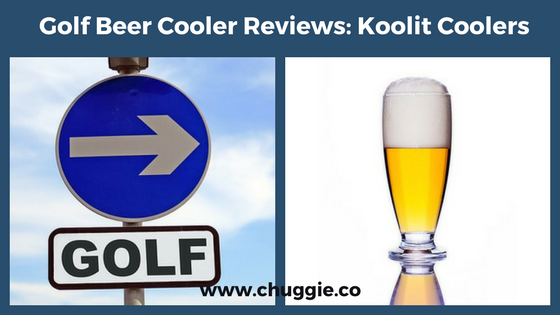 But they still provide the great benefits that a roto-molded cooler can provide. 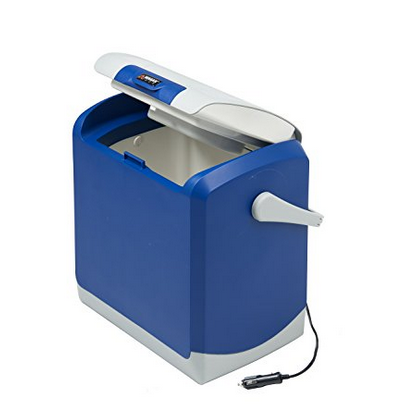 The ice holding ability of this roto molded cooler is said to range from 5 to 12 days. Its high-density polyurethane foam and extra thick lid locks the cold air in and keeps the warm air out. We’ve seen ice last in a Canyon Outfitter Series Cooler for anywhere from 3 to 10 days. Tip: Keep your ice chest colder, longer, with a best long lasting ice pack. 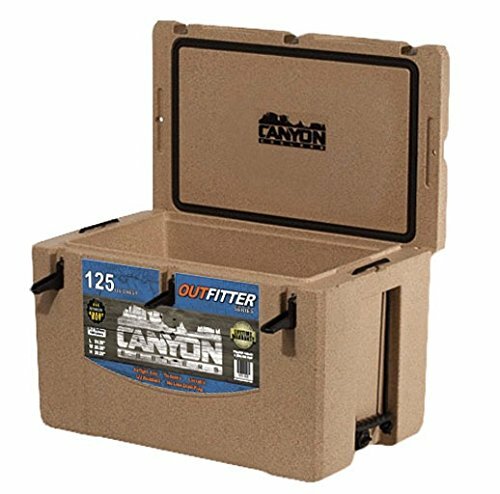 Since Canyon Outfitter Series Coolers are roto molded from polyethylene, of course they’re tough. 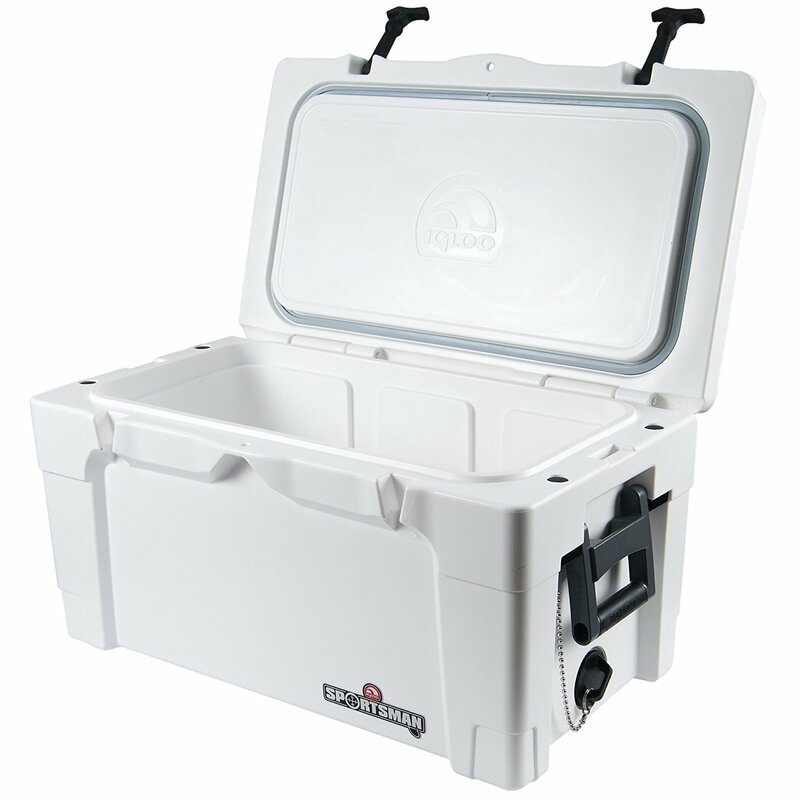 They also have the other usual qualities of a quality ice chest, such as being UV-resistant and Grizzly Bear Resistant. While this isn’t really a feature, it’s important to know that Canyon Coolers are lighter than most. This is such a valuable characteristic! Stainless steel, bullet-proof hinges are resistant to the elements. 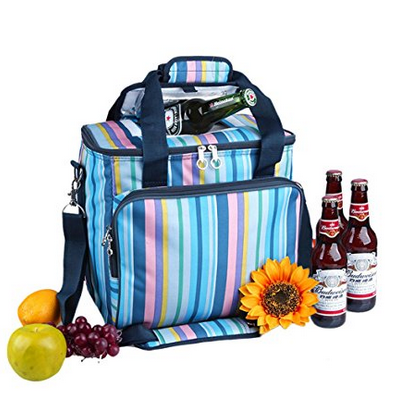 Since the handles and latches are recessed, it’s easy to carry around and/or pack a Canyon Cooler. This coupled with the lighter weight makes for a more portable, easy-to-use roto molded cooler. Choose from Sandstone, White Marble, Teal, or Lime Green. You’ll need to buy a new Polar Cap directly from Cabela’s, which means missing out on some savings. 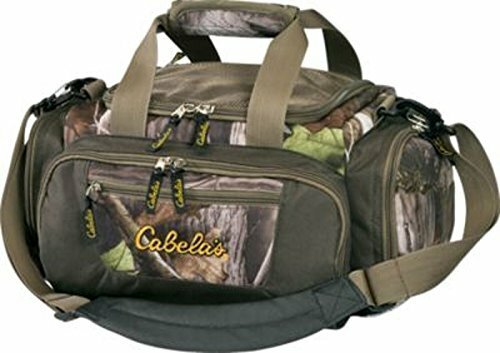 Cabelas also sells fishing bag coolers with excellent value. 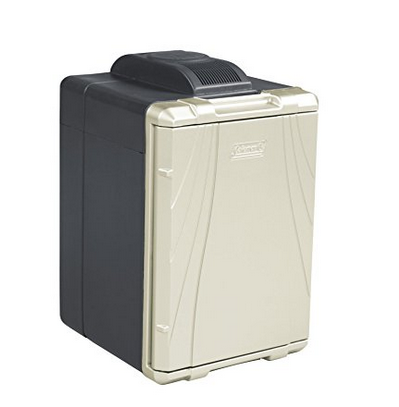 Compared to premium ice chests, Cabela’s roto molded coolers perform quite well. Although length of “ice holding” varies, we’ve heard anywhere from 2 to 8 days! Judging from price, ice retention, and durability, this may be THE best value roto molded cooler on the market today. This robust cooler is “nearly bullet proof,” and also Certified Grizzly Bear Resistant. Tan, tan, and more tan. Although there’s just one drab color to choose from, it’s a good one for blending in with the scenery. As you can see, the biggest difference between a high-end cooler and a cheap roto molded cooler is durability. Often, the cheaper roto molded coolers are made from the polyethylene, the slightly weaker plastic. This doesn’t mean they’re wimpy, though. Sometimes, people spend loads of money on an expensive ice chest like a Yeti when they don’t even need to. Yeti themselves say their coolers are “over-engineered.” If you need a cooler for things like barbecues, tailgating, and bonfires, you probably don’t need a super expensive roto molded cooler. Rough and tough outdoors people, like hunters and fishers, may benefit from spending the extra cash on a more expensive roto molded cooler. 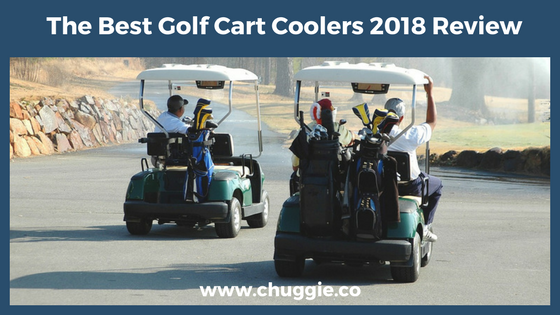 You may be wondering, “What do I do if I need a high-end roto molded cooler but don’t have the money?” The good news is that you can use one of these cheapest but best value roto molded coolers while you save up for another. But you know what we think? Once you buy the cheaper choice, you’ll probably find it lasts you for years. If you’re not 100% clear on the definition here’s a quick explanation. “Roto Molded/Rotomolded” is an abbreviation for the phrase “rotationally molded.” Simply put, this means that a cooler is rotated as it’s constructed, so it’s one piece rather than several. The roto molding technique produces the most unbreakable ice chests. Manufacturers use polyurethane for insulation in roto molded coolers. Yet another “poly-” word; this refers to an extra-strong plastic that creates the best roto molded coolers. While strong, it’s not as unbreakable as polyethylene. Another common plastic, polyethylene, graces many a roto molded cooler. It’s the same material used to make kayaks. Although Summer is arguably the best season, it has its days. You know the kind. Out of control humidity, no wind, endless sweating, sticky clothes… Usually all you need is something cold, whether that be a dip in the lake or a refreshing bottle of beer. 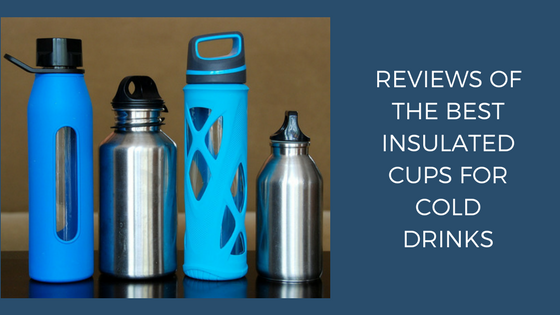 With this in mind, we went on a mission to find the best insulated cup for cold drinks. After researching and testing, each of us chose a different type. That’s because, of course, everyone’s personalities and interests are so different. Since this is no “one size fits all” kind of thing, we’re here to help each of you find the best fit for you. Only the best cups made the cut because we held them up to some tough scrutiny. They had to pass our construction, ice retention, ease of use, and durability tests. For many people, the best insulated cup for cold drinks might not even be a ‘cup.’ It could be a bottle, drink sleeve, mug, or tumbler. Here you’ll find our favorites in each category. The Insulated Klean Kanteen Classic made the cut because of its superior performance, extra safe construction, and ice holding ability. Even though the Klean Kanteen Insulated Classic 20 Ounce is our go-to, you have plenty more options. These sleek canteens are available in capacities ranging from 12 to 64 ounces. Klean Kanteen backs up their bottles with a lifetime “Strong-as-Steel” guarantee. You can’t go wrong with this type of stainless steel! A Klean Kanteen insulated water bottle won Outside Online’s durability test, which involved hits from a golf swing. It does very well in terms of portability because of its slim design, which makes it easy to grip. 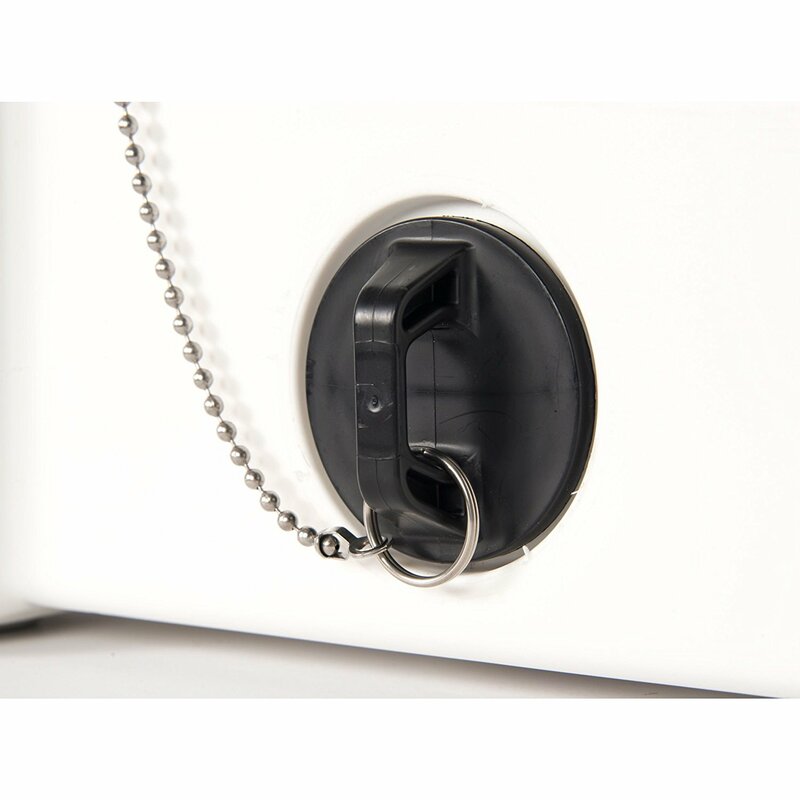 Another helpful feature is the loop cap, which can be used to fasten the bottle in place with a Klean Kanteen S Biner. And the cap’s truly leak-free! 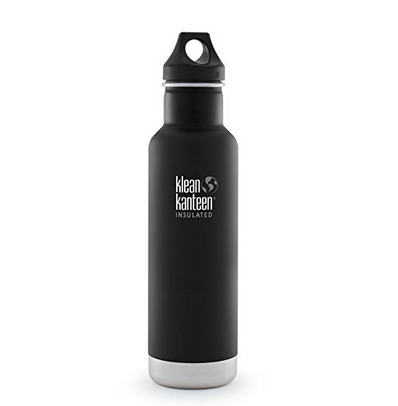 Klean Kanteen incorporates sustainability, safety, and fair trade into its business practices. The Klean Kanteen Classic is available in 10 colors. It’s hard to go wrong with any product from the Yeti Rambler collection. In fact, we couldn’t narrow it down to a single best insulated cup for cold drinks…there are two fabulous winners. 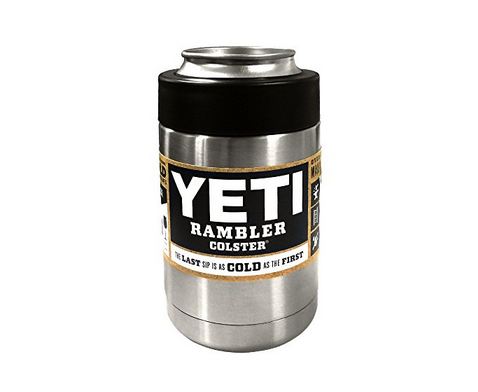 The Yeti Rambler Colster is truly one of the best cups for keeping drinks cold; we aren’t including it just for the brand name. 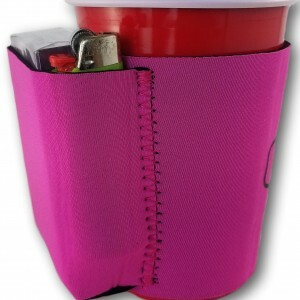 Unlike a bottle or thermos, it’s a “bottle hugger.” This is perfect for easily sliding drinks in and out…especially on those days when the drinks are flying fast and loose. 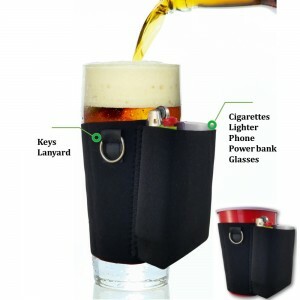 This drink jacket is designed to hold standard 12oz drink cans and bottles. Just like Yeti Coolers, the Yeti Rambler Colster is tough as nails. Sure, it’ll show some wear and tear if you let two bears throw it around for awhile. But despite small dents or scratches, you’ll still have an awesome Colster when they’re done playing. The wide base and low center gravity point prevents any tipping over. The “No Sweat” design keeps condensation away. 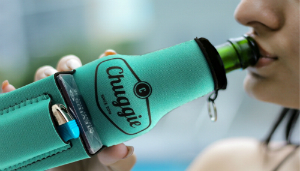 As a result, you won’t have to worry about losing grip of a slippery drink hugger. Price: It’s $29.99 directly from Yeti, although it’s currently cheaper on Amazon. Well, it’s a Yeti. So get out there and strut your stuff, if you get a kick out of brand names. It’s so much more than a mug for hot coffee, though. This mighty little cup will do just as good a job of keeping your Bloody Mary nice and chilled. 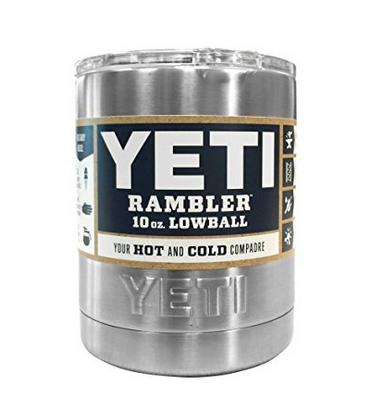 Yeti’s Rambler Lowball holds 10 ounces. Just like the rest of the Yeti Rambler Collection, the Lowball is a robust little cup. In fact, its unbreakable stainless steel is rust and puncture resistant. The “No Sweat” design really makes a difference in comfort. No more slippery, freezing cups. Plus, “No Sweat” prevents rings from forming on counter tops. Small size makes it easy to pack and carry. 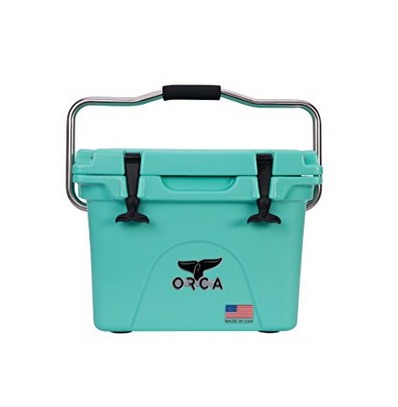 Price: Even though the price is $19.99 directly from Yeti, Amazon frequently has deals and discounts. 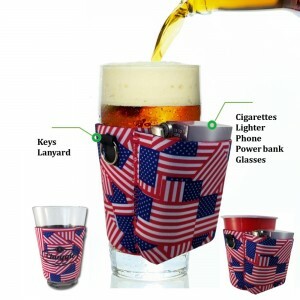 Not only does it keep drinks cold without ice, but it also keeps beverages hot. There are two capacities: 32 ounces and 40 ounces. Because of its quality stainless steel, this thing is damn near indestructible. It can hold its own next to a Yeti Rambler any day. 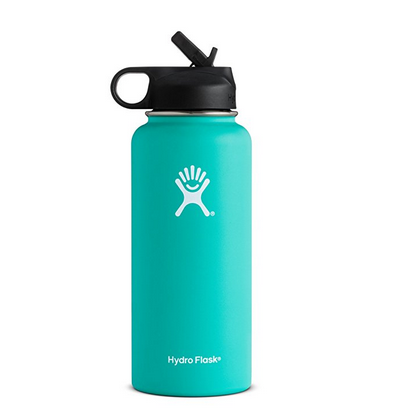 Due to two ultra-convenient features, a Hydro Flask is truly the best insulated cup for cold drinks. (At least in terms of usability.) First, its sleek design and slip-free exterior makes it seem natural. Also, the versatility of the lids is amazing. In addition to its straw lid, you can use a Hydro Flip Lid interchangeably. Considering the cheapness of Ozark Trail’s insulated cups for cold drinks, it’s worth taking the time to look at the facts. 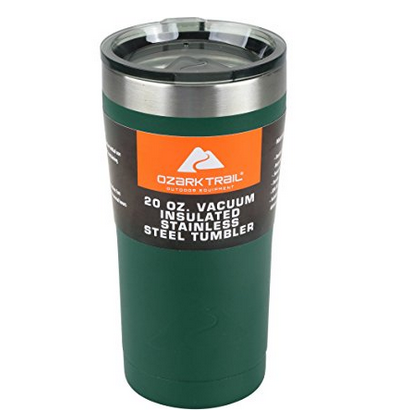 Despite being practically free, Ozark Trail tumblers are incredibly tough. Like most popular insulated cups, the 18/8 stainless steel, double-walled construction means this tumbler is shatter-proof and puncture-free. The outer layer of powder coating on this inexpensive Yeti-like tumbler means it’s sweat-proof and easy to grip, just like the Yeti Tumbler 20oz. The only problem with wider insulated cups is that they get in the way more than slim bottles like a Klean Kanteen or S’well S’ip. For that reason, think about where you’ll be using the cup most often. Swell is one of those companies whose charm is enough to win over rugged hunters and dainty pool-goers alike. Its motto is “S’ip Joyfully,” need we say more? 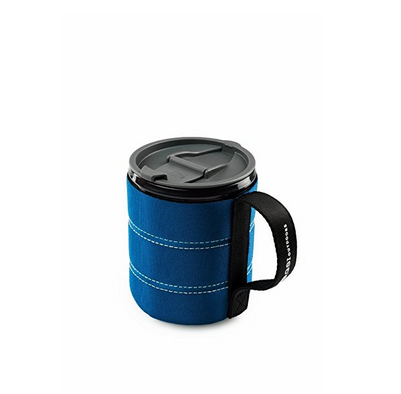 With its ergonomic design and huge variety of patterns and colors, this is definitely the best insulated cup for cold drinks to give as a gift. 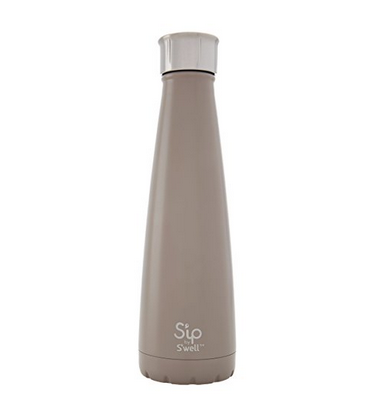 For daily use, the S’ip by Swell Water Bottle is immune to wear and tear. This isn’t intended for extended backcountry hiking trips, although it’s stainless steel construction can handle some abuse…it just won’t look as pretty on the other side. The Sip by Swell Water Bottle is extremely easy to use! The wide base keeps it grounded and stable, while the thin top is perfect for gripping. 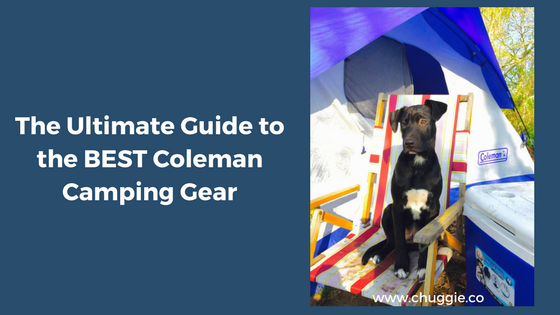 Due to its svelte design, it’s easy to pack. And, since this is editor’s choice, we can vouche personallhy…the company isn’t lying. This best insulated cup for cold drinks is certainly leak proof! Kids and adults alike love receiving patterns tailored to their likes, and patterns like “Sugar Skull” and “Top Dog.” Just check out the complete color and pattern availability, and you’ll have gift ideas for nearly everyone in your life! RTIC is another brand that fell in Yeti’s bad favor. In fact, they just reached a settlement not long ago. Yeti’s biggest threat to business is excellent, affordable products. It’s like their big secret has been blown: you don’t have to blow your savings for a cooler/tumbler of high quality. In fact, RTIC’s redesigned coolers and drinkware, as ordered by the court, aren’t available yet. But there are still plenty of the original RTIC products available on Amazon. RTIC’s Lowball has a capacity of 10 ounces. 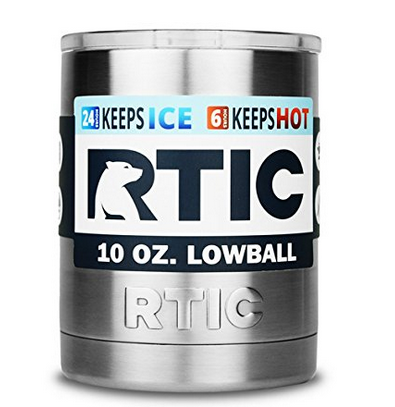 The RTIC Lowball is incredibly strong, due to its stainless steel construction. Don’t expect punctures in this thing…unless you use it for target practice, maybe. Just like all the best insulated cups for cold drinks, it’s important to have a condensation-free beverage holder. The RTIC Lowball won’t get that annoying film of moisture. It doesn’t fit in most car cup holders, so keep this in mind. RTIC Lowballs are available in Camo, Pink, White, Black, and Teal. Another asset is the versatility of these insulated “drink huggers;” they keep both beverages hot and cold. Have you ever heard the phrase “Summer should have a speeding ticket?” Well, it should! It’s such a fleeting, happy season that everyone gets excited far in advance. 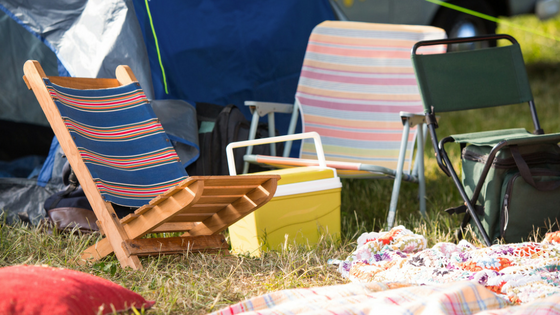 It’s time to start searching for your personal best insulated cup for cold drinks. When you’re lounging at the beach with the most refreshingly cold beer in hand, you’ll be so glad you did.